As a career Martial Artist, my journey has been long and full of self development. For many of the forty eight years of my training, I travelled and embraced the physical path. My primary style of Martial Arts, Zen Do Kai, reflected this. However, this is because I practised this Art form on a superficial level only. As I grew in maturity as a Martial Artist, I became increasingly aware that I was lacking in certain areas. The conundrum was that I was not sure for what I was looking. The search for further depth in my Art form was accelerated by a gradual reduction in my physical strength. Yet as my physical strength gradually diminished, my spirit grew. I found what I was searching for in the teachings of Sensei Mal McRae. Here was the completeness I sought. 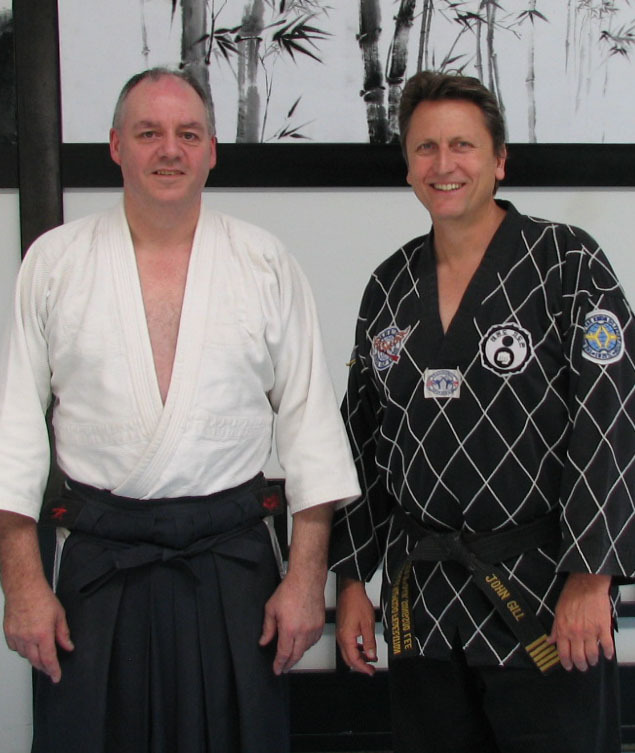 Mal is an exponent of the Art form of Aikido unlike any other I have encountered in Australia. He embodies the rare and precious element of softness in Martial Arts. He truly fuses the hard and soft together in the most complete and devastating way. It is this ability that I yearn to emulate. I was always known as a Hard Man of Martial Arts. For the first thirty years or so of my Martial Arts Journey I blindly pursued the Hard Way. Kick Harder, Hit Harder and Train my Body Harder. These were my mantras and I lived by them. I thrived on this way of thinking until little by little wear and tear on my body made me reassess my original thinking that the Hard Way was the only way. As my journey started to take a different path I was lucky enough to begin Master Classes with Mal. Mal is a true Master of the Art of Aikido, and I was very quickly able to see that under his tuition the Soft Way of Aikido is stronger, harder and more durable than my train harder mantra. I cannot recommend more highly Mal as a teacher of Aikido and cannot emphasise enough the value of Aikido in this part of my journey as a Martial Artist. The soft way will help sustain me for the remaining part of the journey as I go full circle. 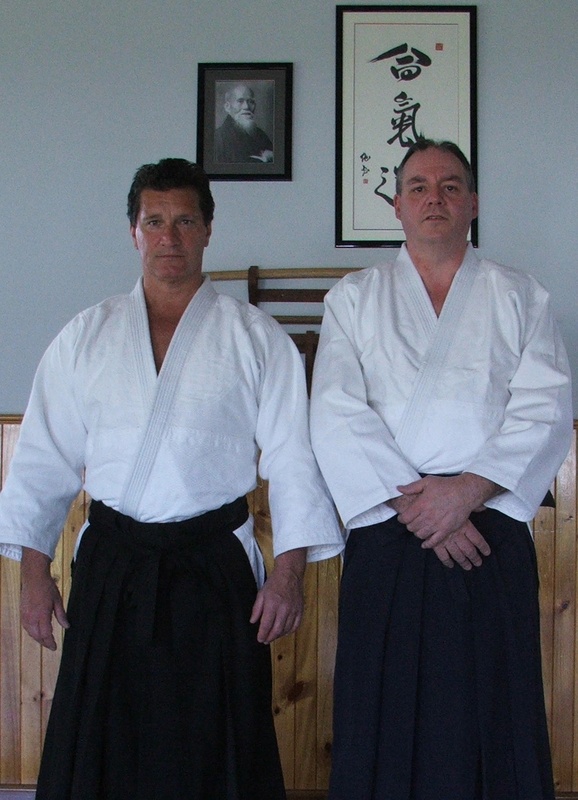 Having trained in Aikido for the last 24 years not to mention the other forms of Martial Arts that I have tried, I have always sought out the best teachers, including my acting coaches and bodybuilding champions. Steven Seagal Sensei and Matsouka Haruo Sensei were my first teachers in Aikido, and they truly embodied and taught me the physical attributes of this marvelous Martial Art. When in Japan I had the privilege to be taught the spiritual and Ki aspect from my Master Abe Sensei. I have to say without a doubt that Mal McRae in my honest opinion embodies both, and is one of the great teachers of our time and I need not look any further. Mal McRae’s Aikido works and as Steven Seagal Sensei says, if it doesn’t take up dance lessons. I am humbled by his dynamic Aikido and incredible ki power. I highly recommend Mal McRae Sensei to any Martial Artist who is serious about his Art. Mal McRae has taken my Aikido to a different level completely. All I have to say is leave your ego at the door. 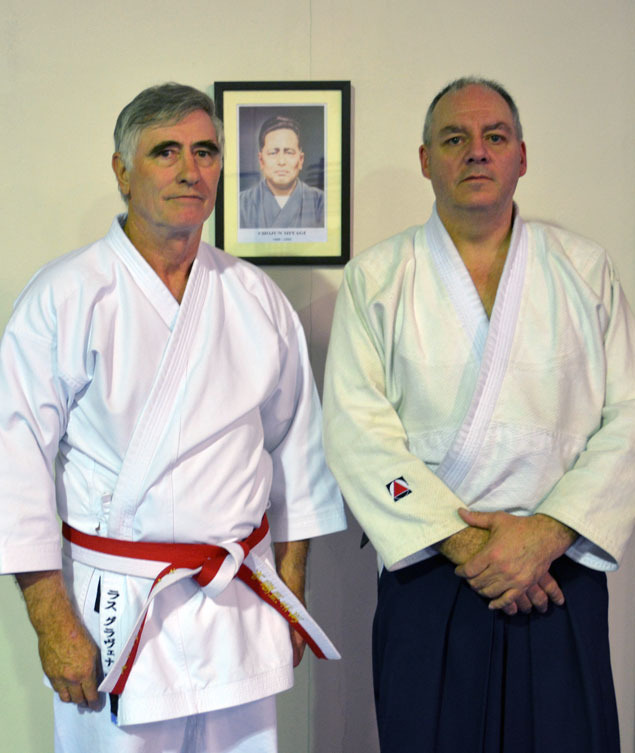 I have been involved in the Martial Arts for over 35 years, and in this time Aikido Master Mal McRae is one of the best I have seen in the industry. His movement and techniques are of the highest ability and his use of his internal ki is effortless power. I believe ki energy is a vital part of self-defence and complements non aggressive techniques that both Mal and I will be promoting to Martial Art instructors and students. 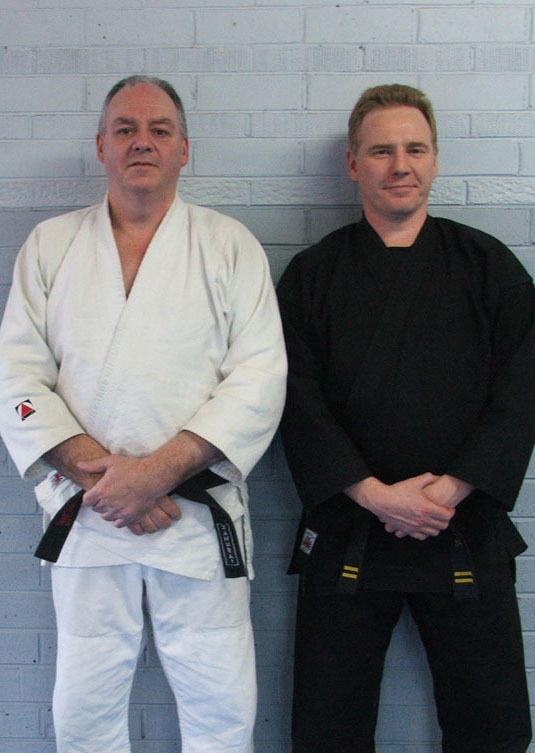 Mal and I have joined together to offer workshops combining the best of Aikido, Hapkido and Taekwondo and I am very much looking forward to working with one of the best Aikido experts I have come across! Having started learning Goju karate some 30 years ago I was convinced karate was the way to go and had serious doubts as to the practicality of the aikido that I had witnessed. That was before my introduction to ki fusion Aikido and Mal McRae Sensei. Mal Sensei turned my understanding of the martial arts on its head. No longer were strength and speed important. Moves in the karate kata representing locks, holds and throws that were obscure suddenly became crystal clear under Mal Sensei’s instruction. My understanding of ‘ki’ in karate was expanded substantially as I was exposed to the power of the ‘soft ki’ taught in ki fusion Aikido. I have been cross training under Mal Sensei for nearly seven years now and can say that it has been an experience that needs to be felt to be believed. Without doubt, ki fusion Aikido is the thinking martial artist’s martial art. I have trained in Hapkido for over a decade. During this time I was aware of the concepts of Ki energy and its applications in Martial Arts but it was not until meeting and training with Mal Sensei that I became aware of the full and very realistic and practical application of Ki. In over two years I have found Mal Sensei to be a very gracious and patient teacher. The skills and knowledge which I have learned and continue to develop in using Ki with Aikido principles has directly translated to improving my Hapkido. The principles to which Mal Sensei has introduced me apply not only to the similarities between Aikido and Hapkido but to all areas of training: locking, throwing, kicking, striking and grappling as well as the mental and spiritual aspects of Martial Arts training. As an experienced Hapkido practitioner I’m always looking for areas to improve and grow. An obvious area that is relatively hard to focus on due to the lack of enlightened practitioners, is the area of Ki. I have been training with master McRae for over two years now, focussing specifically on the different facets of “Ki”, in particular “soft Ki”. In that time I’ve become so much more attuned to conflict within myself and my opponent. This has led to a greater understanding of my own Hapkido techniques, and thus I’ve experienced a dramatic improvement. I had never experienced soft Ki to the extent of master McRae’s ability, and as such I never knew how powerful “soft Ki” could be. Master McRae really did open my eyes. Master McRae’s understanding of Ki and his ability to verbalise this understanding has been paramount in guiding me on the progress I’ve made thus far. My training with master McRae has been some of the most rewarding training that I have ever undertaken, and I look forward to continuing it. In short master McRae has opened a new door for me, one in which martial arts become far more than just the physical mind and body. So once again I find myself at the foot of the proverbial “mountain” that is referred to frequently in martial arts. Only this time I have found a rare guide who has not only made considerable progress himself, but has the patience to guide and support others on their journey. About two years ago I believed I needed to commit myself more fully to the study of aikido. With this in mind I started training with Mal Sensei in the mornings in addition to my regular training sessions in another school. After a short period of time it became apparent that having feet in two different school’s did not aid my aikido, but rather forced me to choose the style that best suited me. It was a difficult choice at the time because I was already a Nidan with the other style and had trained with them for 8 years. I chose ki fusion Aikido because to me this style was more in tune with the principles of O’Sensei and it included more training in the application of ‘ki’ than any other aikido style I have seen. The mastery of ‘ki’ as demonstrated by Mal Sensei is phenomenal and it inspired me to look deeper within my own training. I have been training in various martial arts since I left school 36 years ago at 16. These include boxing, kickboxing, Brazilian ju jitsui, traditional and two free style karate styles. I am currently training in three arts. Zen do kai karate with a present rank of Nidan, Brazilian ju jitsui which I am currently purple belt, and ki fusion Aikido with a current rank of 3rd kyu. 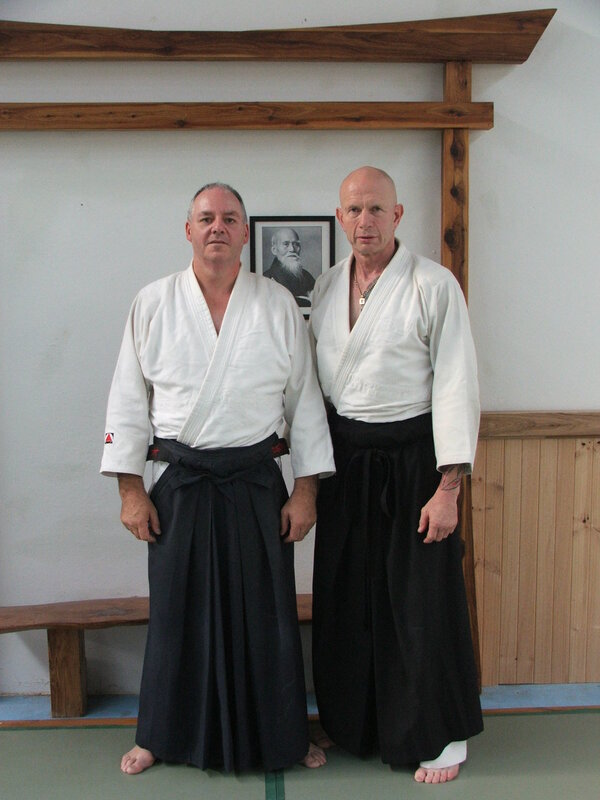 I was introduced to ki fusion Aikido through my friend and training partner Sean Bowring. I first attended Mal Sensei’s traditional dojo in November 2005. I was amazed at his prowess and I came away with a completely different understanding of the martial arts. The techniques demonstrated appear impossible to the layman but once mastered could be executed by a smaller person against a much larger opponent to overcome them effortlessly and effectively by extending ki energy and taking away their centre.